On a stretch of well-worn east-bound highway that lies between Los Angeles and Las Vegas, you might hear a lonely guitar moan way off in the distance You may witness the streak of a shooting star in an otherwise dark night out of the corner of your eye. It’s the place where dreams and reality blend in the early hours night long before dawn. It’s country music, it’s blues, and it’s the crazy passion of rock ‘n’ roll that keeps a soul traveling on American highways. On another stretch of east-bound desert highway leading out of Last Vegas toward the golden-dawn skies toward Nashville, you might see a dream or a vision leading to hope, despair or both. 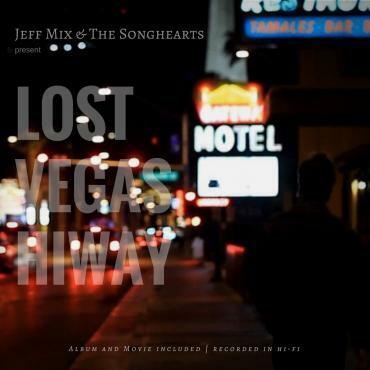 What lies in between in these two well-traveled highways is our musical geography of light, shade and darkness that is captured for a brief hour in the multi-media experience of Lost Vegas Hiway by Jeff Mix and the Songhearts. 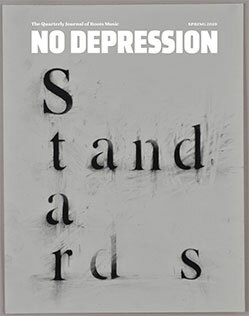 There is a restless Sam Shepard-like feel to the characters and songs in this country-concept album and film. The album opens on a bluesy note in the first moments of, “Come Home” which leads with an acoustic strum and a Brian Jones-inspired slide-guitar as Mix’s lead vocal comes in with a high and lonesome presence like a heart-broken and world-weary Buddy Holly. The song then breaks free into a steady, driving country-rock anthem. A road song if there ever was one., What follows is a collection of well-produced, smartly crafted original songs that shoot straight to the bone-marrow of country music at its most universal with tales of loss, broken souls and hoped-for redemption. But, what prevails in the album and the accompanying film is the sense of doubt that anything near redemption has been found. We are left with the same restless need to move on and find out what’s around the next corner. Lost Vegas Hiway-the album and the film bring together strong production values and a song-in-storytelling craft established by Steve Earle, Rodney Crowell, Townes Van Zandt and Guy Clark two decades ago. The album’s concept follows in the well-paved tradition of Willie Nelson’s Redheaded Stranger. The film is modeled after the independent style of American classics, Tender Mercies and Five Easy Pieces. It is stripped of fancy or flashy filmmaking in favor of simple, poetic storytelling through characters, story and song.The album’s instrumental production is woven through with a skilled band that includes slide, steel, electric guitars and a soaring violin that support each song’s full-potential. The songs are all revealed in the essence of the uniquely layered city in the Nevada desert, where wealth is so visible, but just-out-of-reach for so many wayward souls. This is the undertow that delivers this albums’ resolve, power and sense of epic loss. 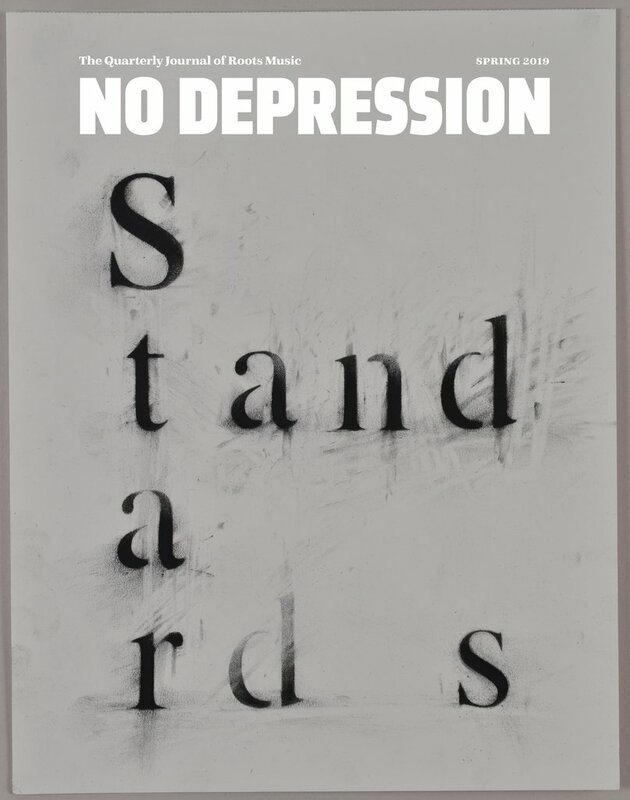 Inspired by Texas songwriters of the 80s and 90s, Mix’s work reflects his locale in the same way Townes Van Zandt did with his Texas roots. Las Vegas is a major, haunting character in each of these songs. But Lost Vegas Hiway offers something more than a collection of original, well-executed-related songs. Included in the release is a 60-minute independent film that centers on a shady Vegas motel populated with Runyonesque characters and styled specifically with film noir in mind. The narrative flows between back-stories present seamlessly allowing for curiosity, suspense and surprise. Jeff Mix is the central narrative character with his own mystery as pimps, prostitutes, street thugs and a seedy motel manager weave through his story. In the telling of the story, we are introduced to characters, “Hal” as in Ketchum and a murderous Sam played by his friend and mentor, Gurf Morlix. Visually, the film succeeds in drawing us into the characters and the story with the skill of the storytelling and engaging songs that fill out the plot and narrative. The songs play to underscore the film story, sometimes barely audible providing a mood; other times out-front and center. This approach serves to reveal inner-workings of the characters. They link the stories and people together. However, each song stands on its own merits without compromise as it follows a natural country-blues trail. What results from the film and the album collectively is one of 2017’s year’s best work by this new rising, country-Americana artist. Every song on this album is a significant part of the whole, but some of the key songs also carry engaging commercial appeal that should be welcome on Americana or country radio and Internet music services. Putting together a concept-album of entirely original songs is no easy task. The experience that results from Lost Vegas Hiway works with singular songs that consistently work together to support the accompanying film. The filmmaking from all involved allow the songs to mine the depth of characters like country-western soliloquies of the heart. Jeff Mix and the Songhearts have successfully delivered an album that runs from the heart of the songs into the haunting soul of the film. Although Lost Vegas Hiway draws from it’s famous local, the debut album suggests a band that is on the national American roots music highway beyond Las Vegas and Nashville.